Heating, Ventilation, Air Conditioning and Refrigeration (HVAC/R) services for everything from small residential projects to large-scale industrial campus designs. Licensed and experienced electrical work for projects ranging from residential service to design-build solutions for commercial and industrial electrical distribution systems. We are able to outfit and update buildings old and new with complete mechanical / electrical systems robust enough for industrial facilities, data centers and cold storage warehouses. Building on our strong reputation as a highly respected mechanical contractor, The Salcido Connection now includes full-scale electrical contract work in our portfolio of professional services. Combining electrical and mechanical expertise provides the highest level of full mechanical project management with efficiency and productivity. Electrical design and build for commercial hydroponic indoor growing facility. Installed and distributed 1,200 amps of 208 volt / 3-phase power. Included primary distribution to transformer and secondary distribution throughout the commercial building. Converted 3,200 sq.ft. concrete warehouse into multi-megawatt bitcoin mining operation. 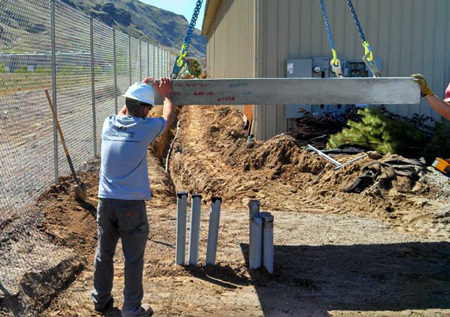 The project involved the design and installation of 2,000 amps of 280 volt / 3-phase power. 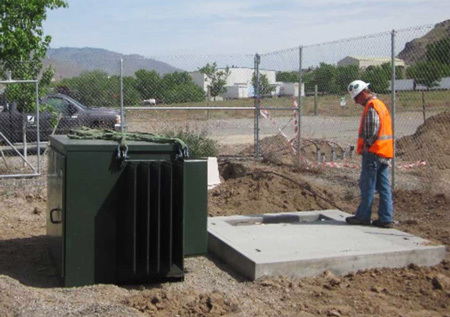 Secondary distribution included the installation of 8 – 250 kVA transformers, 16 – 300 amp breakers, and 510 – 208V/4-plug outlets. 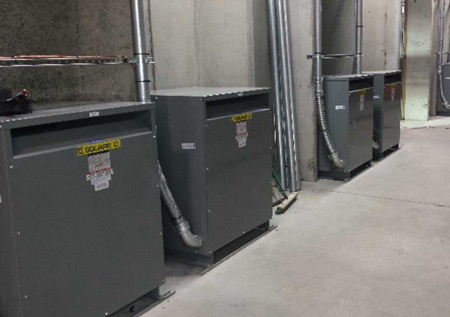 Provided wiring and power distribution for geo-thermal heating systems for the Okanogan County Court House and the Okanogan High School.